A large number of volunteers were called upon to assist with the creating of a large ambulance force. The volunteers had their driving skills tested and were then allocated to a specific ambulance post that was run 24 hours a day. The work was often dangerous as they would often be out during air raids taking casualties to first aid posts or local hospitals. 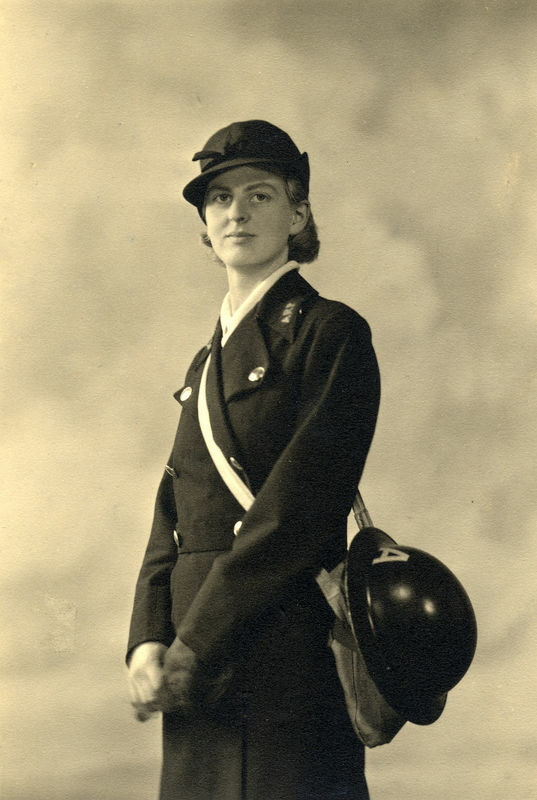 The drivers' and attendants' coat was introduced in late October 1939 for women only. 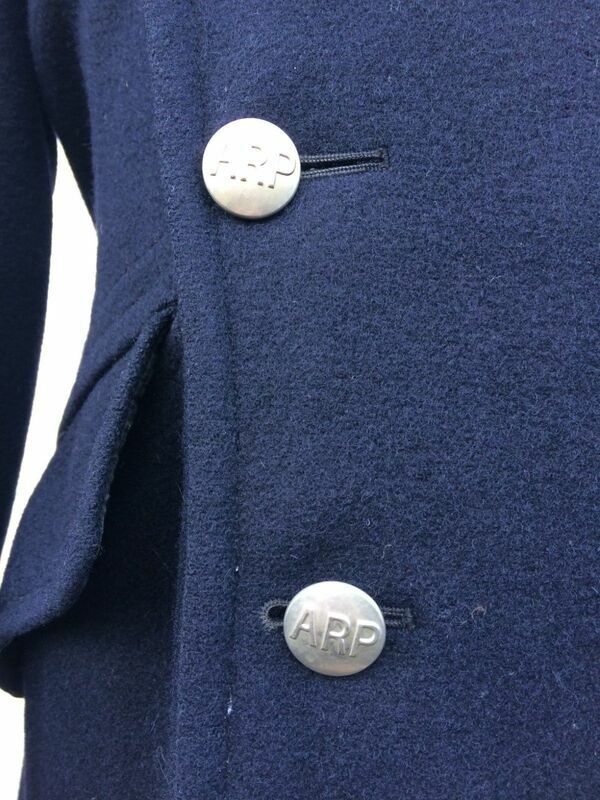 The full length, blue coat featured a 'lancer' front with two rows of white metal ARP buttons that fastened to the collar. This design precluded having the standard oval ARP button on the right breast so red ARP badges were sown to each upper collar lapel. In some areas, the local area marking was worn on the sleeve. Worn with the coat was the dark blue ski cap that featured a rear storm flap to which the owner usually affixed their silver ARP badge to the front. The overcoat had a special breast badge in similar material. At the start of the war the London County Council created the LAAS and issued specific insignia to the drivers. This was replaced from 1941 by the standard CD uniforms and badges. 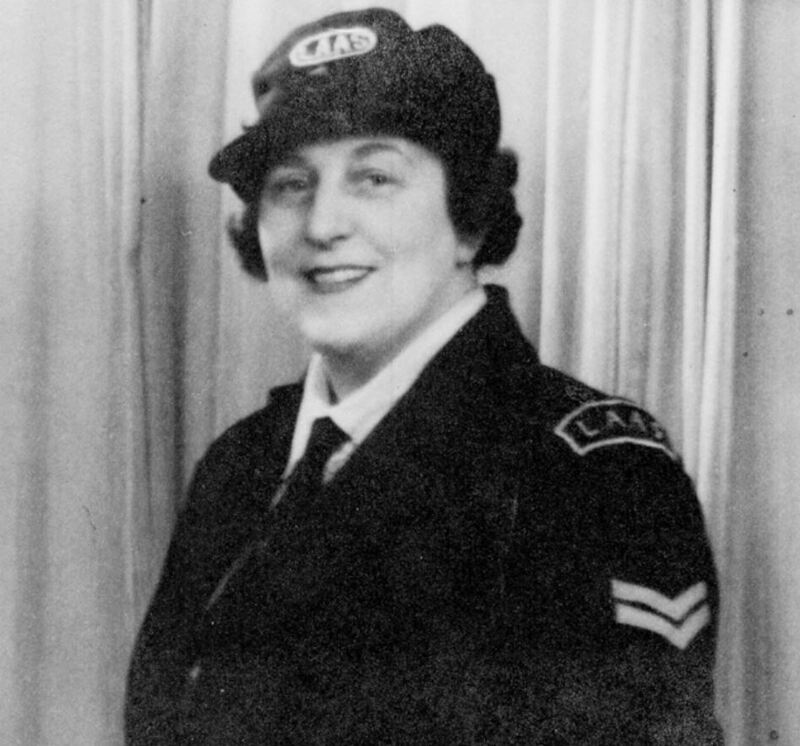 Across London there were 139 auxiliary ambulance stations 'manned' by over 10,000 auxiliaries.